We sorted the best League players into first, second, and third teams. Incredible upsets dominated the competitive League of Legends scene in 2017. Champions lost. Superteams fell apart. Misfits and cinderellas came from nowhere to make deep runs at Worlds. At the end of the year, a few players rose above the fray. They proved through the chaos that, no matter what was happening around them, they could carry. From start to finish, these are the players that stood out most when it mattered. We’re starting with the first team, where three players were carryovers from last year. 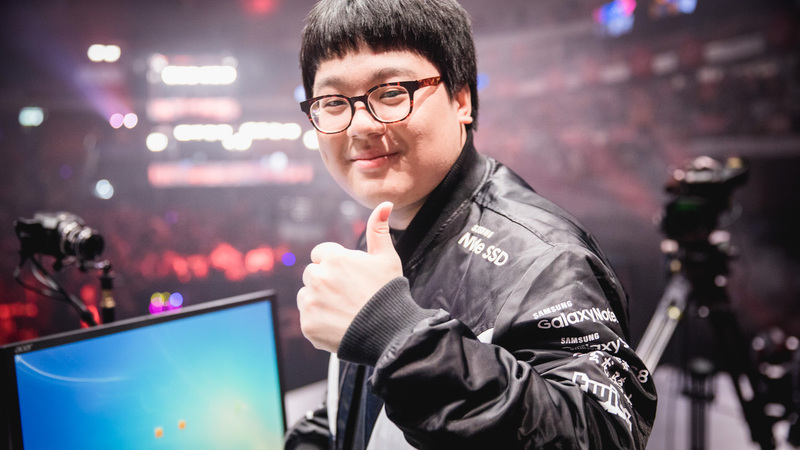 Faker is still the best mid laner in the world. It doesn’t matter that he fell short at Worlds for the first time in his career. For the entire year, Faker carried SKT in an almost mythical manner, like Gandalf in the mid lane felling would-be Balrogs, “You shall not pass!” Many times, SKT would teeter on the brink of disaster, held up only by Faker’s refusal to lose. Rejoining him on the first team are PraY and GorillA, who survived a tough Spring Split to dominate the Summer Split on Longzhu. The future remains bright for these two, and it wouldn’t be surprising to see Longzhu get even better next year. The newcomers are Ambition, fresh off a World Championship, and Smeb. 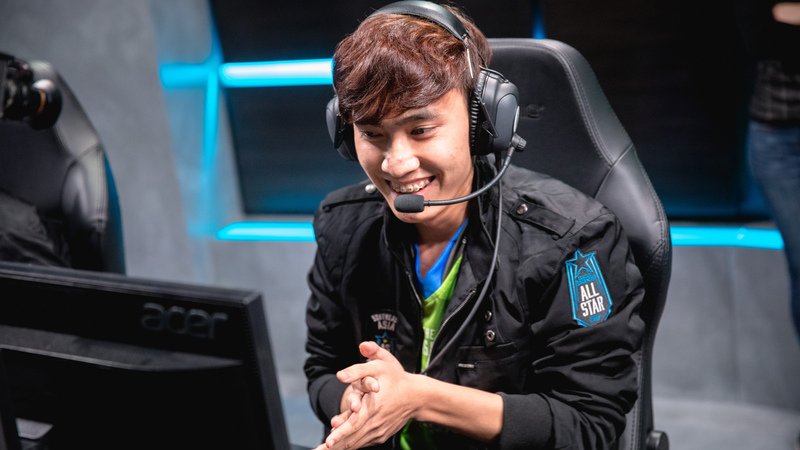 Ambition is known as a careful, farm-oriented jungler, but he showed new tricks throughout Samsung’s Worlds run. In addition to propping up his lanes, he could be found invading the opposing jungle with a panache we had before seen from him. Smeb over Lee “CuVee” Seong-jin was an impossibly tough decision. Smeb is clearly the best top laner in the world. He showed yet again in KT Rolster’s KeSPA Cup victory over Samsung and CuVee that he is the better mechanical player. But CuVee just wins, and it’s hard not to reward the best player on the World Championship team. Ultimately the nod went to Smeb because, while CuVee is impeccable at helping his team find win conditions, Smeb often is the win condition. And it would seem like heresy to leave Smeb off the first team for two years in a row. Nobody does more with less than CuVee. When Lee “Crown” Min-ho started slumping in an unfavorable meta, he stepped in and took charge of Samsung. He consistently makes game-winning plays for his team, and was the best player on a World Championship team. He really does belong on the first team. Joining CuVee are four players from Chinese-speaking regions. 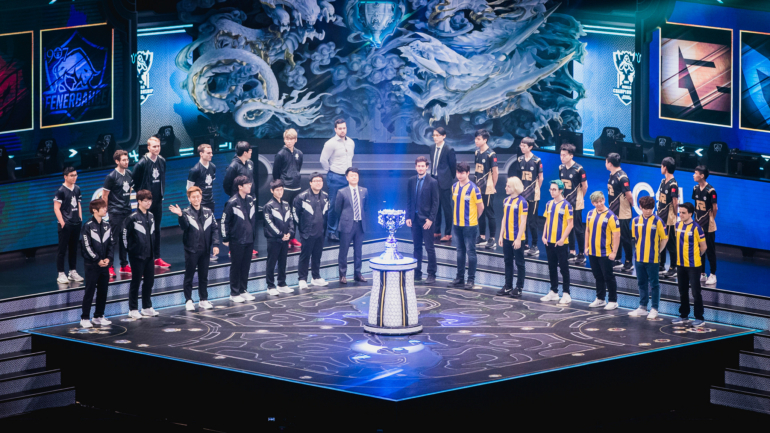 Sure, LCK teams are still the best in the world, but SKT was a one-man-band, Samsung won because of teamwork and macro more than individual talent, and the so-called KT “superteam” fell flat on its face. And Mystic is South Korean, so there’s that! Meanwhile, the LPL had a banner year, taking two semifinals spots and giving the Koreans a run for their money. Condi might have been the best jungler at Worlds, mid laner xiaohu rose out of the shadow of Jian “Uzi” Zi-hao to lead Royal, and Mystic was a teamfighting monster and the most consistent ADC in the LPL. SwordArt was a rock for Flash Wolves, the support who kept the team together despite some drama that threatened to tear them apart. It’s hard to return to the same roster each year and keep things going, but SwordArt did his damnedest to carry his team, and should be rewarded for Flash Wolves finally getting an international championship at IEM. Longzhu top laner Khan was a throwback, a player who consistently dominated on carries while everyone else was playing tanks. His prodigious talent allowed him to counter the meta until he ran into the Samsung buzzsaw at Worlds. Blank is rarely given credit as SKT’s substitute jungler. 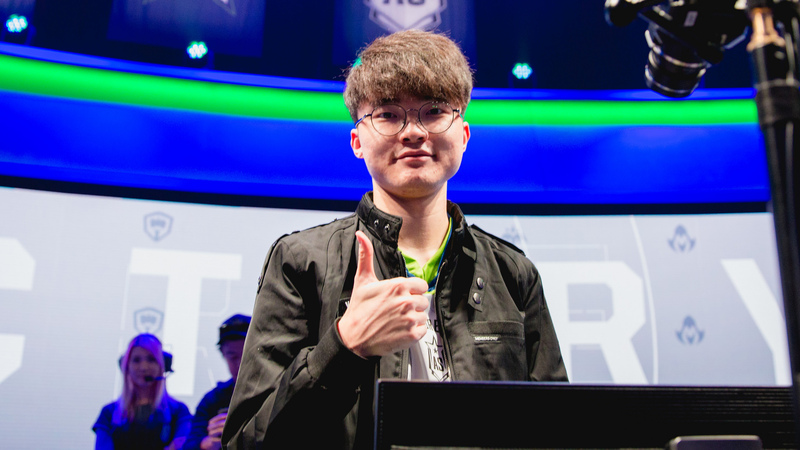 He’ll never be as beloved as former jungler and now coach Bae “Bengi” Seong-ung, but he deserves credit in his own way. Blank was SKT’s starter for much of the year and was on stage for some of the team’s biggest moments. Only the World Champs could end his personal 20-game win streak. It seemed like any time SKT needed a spark, Blank was there. Joining Khan and Blank are three LCS players. Misfits support IgNar came through in some of the biggest moments of the year. It was a ton of fun watching him break the support meta with a variety of engage picks at Worlds. Included also is the obligatory star Danish mid laner, but this time it’s not Søren “Bjergsen” Bjerg. Nicolaj Jensen wasn’t the better player among the two for most the year, but his ability to impact the map expanded greatly at Worlds. C9 relied on him to an almost comical degree. Rounding out the list is G2 ADC Zven, who was once again his team’s lone carry at Worlds. It looked like G2’s bot lane were playing against the world at times, and even though they failed yet again to get out of groups, a solid showing at MSI and strong performances in-region get Zven the nod. Only eight out of 15 of the spots on the first three teams are filled with LCK players, a contrast to last year when only three non-LCK players made it. But that still means over half of the spots are taken by South Koreans, and that’s not even counting imports like IgNar. Here are the best of the rest of the world. The hardest position to pick was mid lane. In a normal year, Bjergsen is a no brainer for this list. But his team, TSM, fell flat on its face again at Worlds, and Bjergsen wasn’t able to carry. Ultimately, two more LCS championships gave him the nod over more clutch performers like Tristan “PowerOfEvil” Schrage. Ziv was a rock in the top lane for LMS squad ahq. 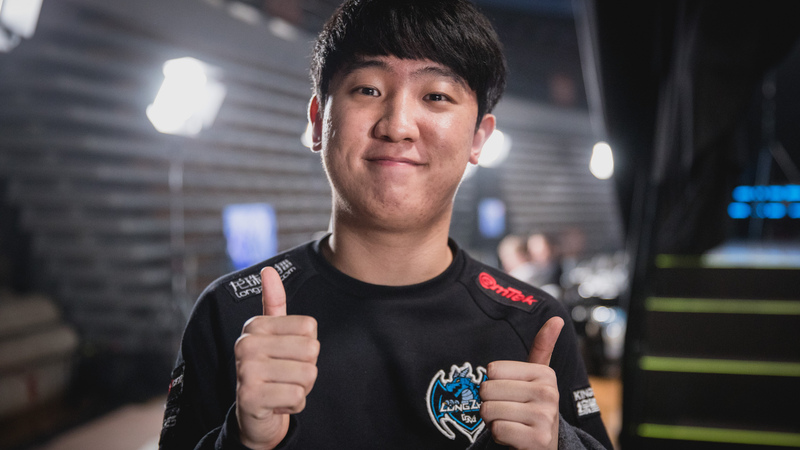 Uzi was a monster carry at Worlds yet again, with his team prioritizing his lane to an almost comical degree. And we just got a taste for how dominant the Uzi lane with support Meiko could be at All-Stars. Then there’s Levi. He was a breath of fresh air, someone who pushed the limits of how League should be played. GIGABYTE Marines went through a ton of drama this year, but on the rift, they could always count on a gameplan to get Levi ahead. It was amazing to watch the lengths the team would go to make sure Levi had a gold and experience advantage. Levi left the Marines this offseason for a spot on 100 Thieves’ Academy team. Here’s hoping we see him on the LCS stage soon.